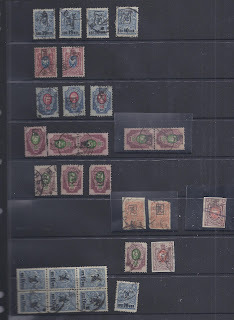 Stamp catalogues never know where to put the countries of Transcaucasia – Armenia, Azerbaijan and Georgia. In the 2006 Michel they were included in Mittel-und Ostasien, a fat catalouge which runs from Afghanistan to Usbekistan. The new replacement 2017/2018 catalogue cuts down the number of countries included, taking out China, but still leaves the Caucasus housed beside Japan, Korea and Mongolia. It doesn’t make much sense and it’s a pity because the new Michel includes a completely re-worked and expanded listing for pre-Soviet Armenia. 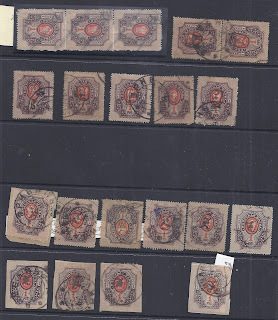 For the first time, black and violet Dashnak overprints are separately listed and so too are Combined overprinted stamps (Z + rubel value) which come with and without Monogram. The scarce to rare second type of the ten rubel overprint, which is just a “10” without the letter “r”, is listed for the first time. 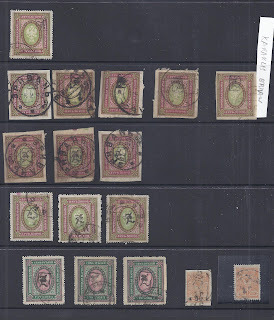 The last series of overprints on Erivan pictorials are now separated into those made from metal and those made from rubber handstamps. 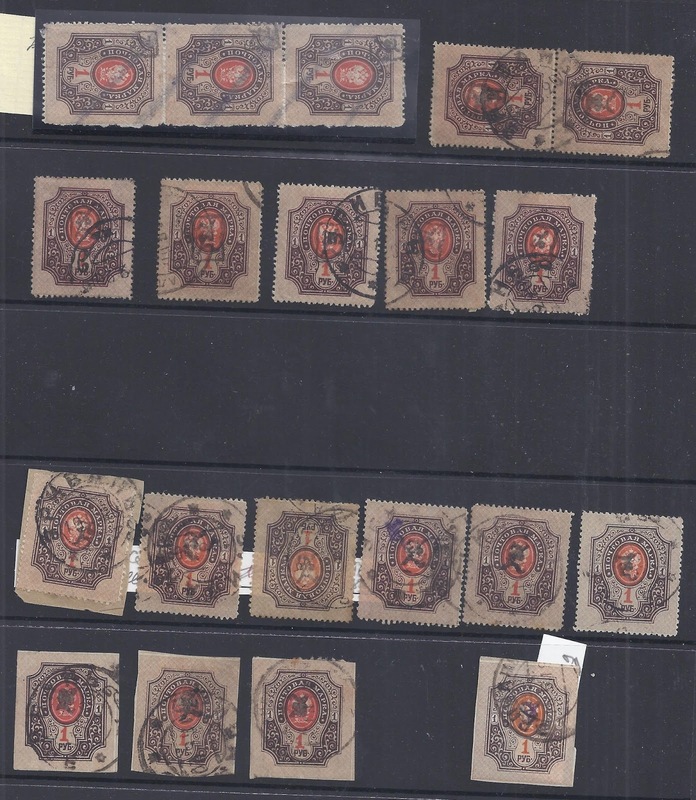 All this moves Michel closer to the Stanley Gibbons listing but Michel stays with the approach of Christopher Zakiyan who listed only the overprints which were officially authorised and not the counter-surcharges, the inclusion of which makes the SG listing much longer than that in Michel. There were serious mistakes in the 2006 listings and these have been removed. The revised valuations go a long way towards getting it right with regard to what is common and what is rare. It is to be hoped (but is not very likely) that auction houses in France and Italy will take notice of the new Michel listings. In Germany, of course, it will be automatic. There are a few things which could have been included without making the listing longer. No example of the first Soviet Star set, which Zakiyan thinks an officially authorised trial, is illustrated. But the bogus second Star set gets its regular illustration and there is space beside it for an example of First Star. The SPECIMEN overprints on low value Chassepot stamps could have been mentioned, but then it needs to be said that all Specimen overprints on the higher values are fakes (mostly from the 1990s and mostly Californian - David Feldman was selling the remainder stocks recently). 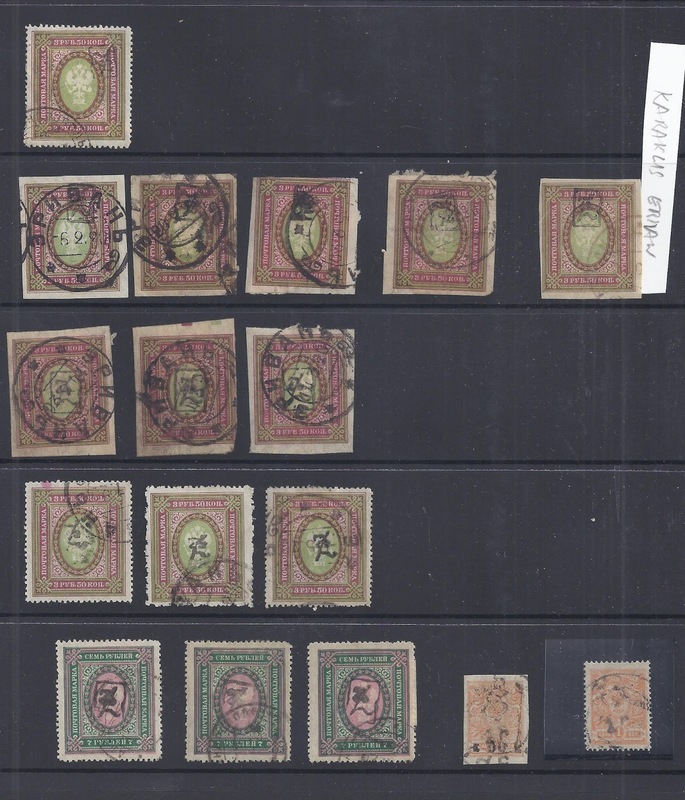 The two unofficial Reprints of Second Yessayan, made by the printer, could have been identified in a sentence and that would have been helpful because most unoverprinted stamps in collections are Reprints – very few are Originals and very few are the obvious Forgeries. But these are relatively minor points. The important thing is that we now have a short listing which is fully based on the best available research (Tchilingirian & Ashford, Zakiyan) and a reasonable assessment of market conditions. In that it is unique. The revised Michel pages are the contribution of Stefan Berger, the new BPP accredited expertiser for Armenia. He is to be congratulated on his work.